A report recently published by the Environment America Research & Policy Center and U.S. PIRG Education Fund entitled Get the Lead Out: Ensuring Safe Drinking Water for Our Children at School gave Massachusetts a “D” grade when assessing the Commonwealth’s policies for protecting children from lead in water at schools. 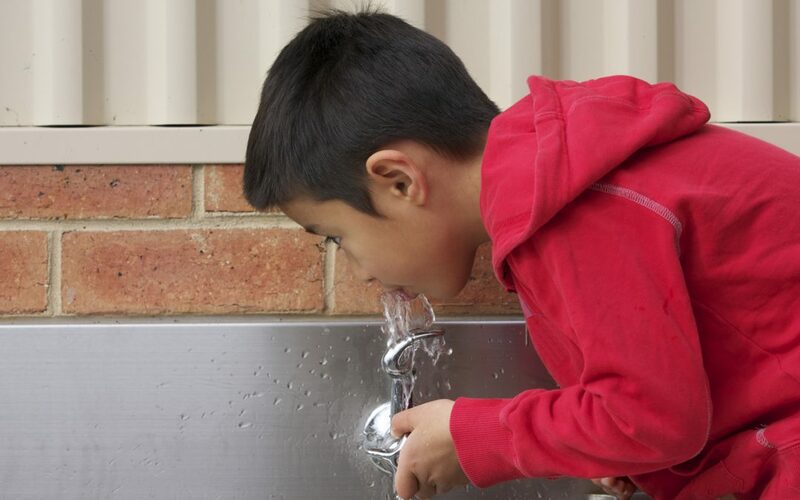 The organizations looked at available data regarding test results for lead in drinking water at schools in sixteen states and the District of Columbia. The report praised Massachusetts as ahead of most states in terms of proactively testing water supplies for lead particles, being one of the few states to include test results confirming lead in concentrations below the 15 parts per billion federal action level, and for compiling extensive data with more than 40,000 test results reported by schools as of January 2017. The groups, though, found the available data to be “shocking”, with nearly half of the tests (49.7 percent) conducted at Bay State schools having some amount of lead in the water. The vast majority of test results with some measurable level of lead were in concentrations greater than 1 part per billion, which is the standard that the groups recommend for all states (currently, most states adhere to the federal government’s 15 parts per billion standard). The organizations also advocate for mandatory testing and remediation, which Massachusetts does not have. Out of the sixteen states studied by the organizations, only two states achieved a “C” grade, no states achieved a “B” or “A” grade, and fourteen of the states received “D” or “F” grades. The standout was the District of Columbia, which achieved a “B” grade. Washington, D.C. achieved the highest grade due to the fact that it is considering an ordinance that the group dubbed “far and away more protective of children’s health than any state statute already on the books.” The ordinance would make Washington, D.C. the first jurisdiction in the United States that would (1) require NSF filters at every tap used for drinking in schools; (2) set the “action level” at 1 part per billion; (3) require annual tests of all water outlets; (4) publish all testing and remediation data online; (5) place bar codes with access to filter maintenance data on fountains at school; and (6) apply the law to schools, early childhood programs, and even public parks. Since the 1970s, considerable attention has been given to concerns over elevated blood lead levels in children, especially those under the age of six. As a result, the federal government and states enacted regulations regarding the permissible level of lead in drinking water. As the Environment America Research & Policy Center and U.S. PIRG Education Fund’s recent findings show, though, the potential for exposure to lead particles at higher than permissible levels continues to this day, nearly four decades after significant legislation regarding lead was promulgated. The most notable target of federal and state regulations regarding lead involved the lead paint industry. Prior to 1978, lead was used as one ingredient in the manufacturing process of paint in the United States. Homes built prior to 1978 likely utilized paint products that contained lead. Over time, the paint products peel, chip, or flake, creating a risk of lead paint ingestion for children. Given that rooms in homes are typically repainted when normal renovations or maintenance is performed, lead paint used in millions of homes built prior to 1978 remained there for decades. As these homes age and the paint naturally wears away, the potential for children to ingest paint chips containing lead increases. Whenever a child’s blood lead levels show elevated lead in the blood, the easiest target for plaintiffs’ attorneys are homeowners, property managers, and landlords. This is due in large part to strict laws in many states that hold homeowners and landlords liable for elevated blood lead levels in children (whether the child shows any signs of developmental delay or not) if the child resided in the home and there was lead present in the paint in the home. In Massachusetts alone, there were 3,700 reported cases of elevated blood lead levels in 2015. As the Commonwealth of Massachusetts’ recent findings show, looking only to lead paint as the possible cause of elevated blood lead levels is unfair to homeowners and landlords given the number of other potential sources for exposure to lead that a child might have.